Despite setbacks that include a recent earthquake and plummeting oil prices, Ecuador has managed to improve the gap between rich and poor citizens.Citing the newest economic indicators from the World Bank, Ecuador's President Rafael Correa said Thursday that his country is leading the global effort to reduce income inequality, and attributed the success to his administration's social programs and economic policies. A World Bank study ranked Ecuador one of the best countries in Latin America for reducing the gap between rich and poor. "Surely the decade won. Ever onward to victory!” he tweeted from his official account, making reference to his almost decade in power. The extensive global report “Taking on Inequality” asserted that the country was ranked second behind Paraguay in shared prosperity from 2008-2016. The growth rate in the income or consumption of the bottom 40 percent of the population was 7.25 in Ecuador. Correa attributed the improved poverty reduction to several government initiatives that address some of the structural causes behind the country’s divide between rich and poor. Correa cited poor education and employment, access to services and inadequate housing as factors that fueled inequality. The president said “let’s see how much of the free and independent press publishes this,” in reference to opposition attacks on his presidency. Correa leaves office next year following a presidential election scheduled for February 2017. Ecuador’s capital, Quito, today winds up its major international conference, Habitat III. The Housing and Sustainable Urban Development conference, which has brought tens of thousands to the city has focused on a number of themes around how to facilitate poverty reduction in urban areas. In the current international system of protection of Human Rights it’s impossible for companies to be processed and trialed. This idea of creating mechanisms that force corporations to respect Human Rights is a historical vindication raised by popular movements. It was also taken to the United Nations by South Africa and Ecuador. Both countries presented in the UN Human Rights Council a resolution draft to create a binding treaty for all state members. The proposal was approved in 2014 by a simple majority. “The goal of the treaty is to establish a mechanism that can criminally and civilly punish companies who violate human rights —whether are they civil, political, economic or cultural”, explained Flavio Valente, director of the FoodFirst Information and Action Network (FIAN), an NGO that accompanies the discussion”. According to Valente, the international accountability of the companies could be ensured through linking condemns issued at a national level with automatic restrictions in other countries, or by creating an independent jurisdictional organism to process companies. “Over the last 30 years, since the passing of the Washington Consensus, a structural adjustment began, and it promoted a downsizing of national States”, Valente says. “During that period, over 3,000 bilateral agreements were signed, with a clause that establishes where the legal disputes related to the agreement are to be resolved”. “Divergences between private investors and the state are not settled in public jurisdictions, but by a private legal consultancy, that is, an arbitration company. That company makes irrevocable and unappealable decisions. Governments are not even allowed to disclose its contents”, he explained. That means that whenever one of the countries in a bilateral commercial agreement decides to process a company from another country (for example, for polluting), the company is ultimately judged by a “private court”. Ecuador itself is facing a historical dispute against North American oil-company Chevron, which is accused of polluting part of the Ecuadorian territory due to reckless mining activity. In this type of situations, due to clauses in the agreements, the State is powerless. If they condemn the companies, the companies in turn appeal to arbitration and this almost always ends with the states being condemned to pay a fine for damaging the company’s image.“Nowadays, this is happening with almost every country. Indonesia, for example, has over 60 bilateral treaties and was punished several times. México lost over U$S 250 million in this sort of arbitrations”. Trapped, the state is unable to protect the rights of its people, because protecting human rights means facing the risk of being processed and fined. Arbitration companies are all for that, because they make loads of money with each case. “This sort of things threaten national sovereignty. There’s no control over the acts of companies, because the government is under threat. At the same time, there’s no way to deal with this system through the Congress or the Judicial Power —and if it were possible, transnational companies still hold a lot of power in those organisms”, the expert says. Tchenna Maso, militant of the Movement of People Affected by Dams (in Portuguese, Movimento dos Atingidos por Barragens, or MAB), thinks that “social movements always fought for the creation of some sort of entity that forces companies to respect human rights. That includes respect for national laws, and also prevention of the lobby they carry out in the Legislative powers”. Although it was proposed to the UN in 2014, this idea dates back to 1970, according to Maso: “It’s a decade-old discussion. Its first documented appearance is in the speech of [former Chilean President] Salvador Allende at the UN Human Rights Council. He said it was necessary to control the corporate power that was growing. That was in 1972, and the following year the coup took place in Chile”, and Salvador Allende was murdered. Over 1,000 entities of civil society around the world are coordinating to achieve an Alliance for the Treaty. Furthermore, an international campaign was launched, under the name Dismantle Corporate Power, to debate and build a proposal for the contents of said treaty. “As only Ecuador and Africa can withdraw the resolution, there’s a huge amount of pressure on them”, Valente says. According to him, capitalist interests were clear during the vote in the resolution at the Human Rights Council of the UN. “It was clear as day: countries of Asia, Africa and Latin America voted in favor”. Those are the countries that get the short end of the stick of mining and other forms of exploitation of natural resources. “On the contrary, the US and Europe voted against”. “What it comes down to is whether it’s more important to make profits or protect human rights”, Valente concluded. Bolivian President Evo Morales had also warned that the South American country would recall its ambassador if Brazil’s suspended President Rousseff was impeached.The governments of Venezuela and Ecuador have recalled their ambassadors to Brazil after the decision to remove suspended President Dilma Rousseff from office in a move widely condemned as a coup. In a statement, the Ecuadorean governmentcondemned the Senate decision to oust Rousseff – who was elected president to a second term with a popular mandate of 54 million votes in 2014 – and announced plans to recall the ambassador in Brazil. “Given these exceptional facts, the government of Ecuador has decided to call for consultations the charge d’affaires to the Republic of Brazil,” the statement continues. The statement dubbed Rousseff’s removal from office a “spurious” process that failed to fulfill the constitutional requirement of proving that the president committed “crimes of responsibility” to justify impeachment. It also noted that Ecuador’s government “cannot ignore the fact that many of the decision-makers in Rousseff’s impeachment are being investigated for serious acts of corruption.” Installed President Michel Temer, now-Foreign Minister Jose Serra, chief impeachment leader Eduardo Cunha and several other high-profile figures behind Rousseff’s impeachment are embroiled in massive corruption scandals. On his Twitter account, President Rafael Correa announced the news immediately following the 61 to 20 vote to impeach Rousseff over charges of manipulating the budget and reiterated the country’s condemnation of the decision. The Ecuadorean government statement also warned that the widely condemned “soft coup” signals a threat to regional integration amid the reconsolidation of the right-wing with underhanded tactics after the socialist “pink tide” swept South America over a decade ago. Ahead of the final impeachment vote, Bolivian President Evo Morales wrote on his Twitter account Tuesday that the South American country would also recall its embassador to Brazil. Bolivia has not formally made an announcement about its embassador. In the wake of the vote in the Senate in May to suspend Rousseff from office to make her stand trial on route to the impeachment, Ecuador, Venezuela and El Salvador summoned their ambassadors to Brazil for consultations in protest of what they called a coup, while several other Latin American countries criticized the impeachment bid and expressed support for the suspended president. Una corporación transnacional, de las más poderosas del mundo: Chevron (Texaco), se queja de haber sido víctima de trato injusto, denegación de justicia y otros maltratos, por parte del Ecuador de tiempos neoliberales y por esos reclamos, de hechos que alega sucedieron entre 1964-1992, justamente, cuando los gobiernos colocaban los intereses corporativos por encima de las prioridades nacionales, el país se vio obligado a pagarle $112 millones de dólares USA, el pasado julio 2016. La transnacional, luego de haber causado significativos daños ambientales en la Amazonía, invirtió la responsabilidad y con insospechados argumentos, impuso a la República del Ecuador, es decir al pueblo y sus instituciones, una demanda ante la Corte Permanente de Arbitraje de la Haya (2009), acusando al país de causarle perjuicios extendidos en un cierto lapso de tiempo. Pero, esta es la misma transnacional que, en un caso precedente (2003-2011), conocido como el de “los afectados”, fue inculpada por daños a poblaciones amazónicas y sentenciada, en instancias nacionales, a indemnizar con una suma de 9.500 millones de dólares a los demandantes, unas 30.000 personas. Sentencia incumplida por la transnacional que más bien vuelve a la carga acusando a estas comunidades indígenas y campesinas de extorsión. Ha esquivado también la sentencia a pedir perdón a las comunidades amazónicas por los agravios causados, sin lo cual el dictamen estipulaba un resarcimiento adicional de 8.500 millones de dólares. Al contrario, más bien parece abrigar la expectativa de que el país le pida perdón en el marco del arbitraje. La demanda de arbitraje de la Chevron a Ecuador contiene elementos tanto para eludir su responsabilidad en el caso de ‘los afectados’, como para coartar las políticas de soberanía energética, productiva y económica enunciadas en el país. Pues el arbitraje extrajudicial, preferido por las corporaciones, por considerarlo ‘expedito’ y distante de los ‘rudimentos’ de la legislación internacional, exige a los países renunciar a sus prerrogativas nacionales y en casos hasta internacionales. Más aún, como señala el experto Gus Van Harten, sólo las corporaciones pueden demandar a los gobiernos y estos últimos apenas pueden defenderse, en medio de procesos que no son independientes, ni transparentes y cuyos procedimientos no son claros. Ejercen, además, gran influencia en la selección de los árbitros, en la sede de los arbitrajes y otros elementos, que optimizan las condiciones para la obtención de reiterados resultados en su ventaja. Esto es manifiesto en la demanda de Chevron contra Ecuador, donde las variantes de ‘procedimiento’ comprenden la inclusión constante de nuevos elementos, la ‘subdivisión’ de problemáticas e incluso un ‘reinicio’, que le permitió agregar alegatos a la demanda en curso, mientras que, durante años, la defensa de Ecuador no obtuvo respuesta a sus requerimientos, a tal punto que, luego de un cúmulo de solicitudes sin respuesta, el país se vio obligado a solicitar, sin éxito, la cesación de algunos de los árbitros. Asimismo, la definición de ‘perjuicio’ o de ‘injusticia’ con la que la corporación formula su demanda, no refiere a las conocidas conceptualizaciones de desigualdad o injusticia apegadas a los principios de derechos humanos, sino que apunta a alguna perturbación del privilegio de ‘trato más favorable’ para la inversión, el comercio y la rentabilidad, que se ha posicionado como argumento inapelable en los tribunales de arbitraje internacional. La sede del arbitraje es Estados Unidos, país reconocido por una importante simbiosis entre la economía corporativa y el mundo político. Para ilustrar con un ejemplo, citado por Alejandro Teitelbaum, autor de una importante obra sobre transnacionales, derechos humanos y democracia, mencionamos el caso de la ex secretaria de Estado estadounidense, Condoleezza Rice, miembro de varias corporaciones, cuyos servicios en el directorio de Chevron fueron tan apreciados que quisieron ponerle su nombre a un importante buque. Son parte de esta arquitectura del comercio transnacional los acuerdos de inversión, tales como el Tratado Bilateral de Inversiones entre Ecuador y Estados Unidos, bajo cuyo paraguas mercantil Chevron argumenta su demanda de arbitraje y alega ser víctima de denegación de justicia, de una supuesta colusión intersectorial y otros. Pero se trata, a todas luces, de una aplicación retroactiva, pues el TBI firmado en 1993 sólo entró en vigencia en 1997, mientras que la compañía se retiró del país en 1992. President of Ecuador, Rafael Correa, mentioned some of the lies spread today by some candidates to the forthcoming general elections and invited his supporters to demand more responsibility and seriousness from them. “Elections approach and the circus grows. Demand seriousness to ‘candidates”, recommended the president through his Twitter account. As an example, the statesman commented that they are talking about 60 percent of unemployment and underemployment, when in fact the first is at 5.3 percent and the second in 16.3, according to data of the National Institute of Statistics and Census collected in June 2016. For them, everything that is not full employment (41 percent) is unemployment and underemployment. They are not aware that there are people who work part-time, etc., because they want so he said. On more than one occasion, the head of state has denounced that the electoral strategy of the opposition in the country is based on lies to defame his political project, the Citizen Revolution, and manipulate the people. Correa has been in power for nine years and according to to several surveys,his management has the approval of the majority of the Ecuadorian people. By his own initiative, the president proposed to Parliament late last year a constitutional reform in which he exclude himself from seeking a third consecutive term of government in the elections scheduled for 2017. Members of Indigenous communities in Ecuador affected by the oil giant Chevron said Wednesday they won’t stop in their fight for the oil company to compensate them for the decades-long environmental damage caused in the Amazon rain forest. The announcement comes days after the Ecuadorean government was ordered by a U.S. Supreme Court to pay Chevron US$96 million for a breach of contract, based on a bilateral investment treaty signed in 1997, five years after the company left the country. Ecuador accused Chevron of knowingly causing irreparable environmental damage and terminated their contract in 1992. Meanwhile, the oil company accused the Ecuadorean government of intentionally understating its domestic oil consumption, thereby reducing Chevron's corporate profits. Experts have confirmed high rates of childhood leukemia and cancer in the area where Chevron operated. More than 2,000 people are estimated to have died from cancer, and 10,000 are currently at risk of contracting it due to continued exposure to carcinogenic chemicals. The Union of People Affected by Chevron-Texaco, which represents more than 30,000 people, is demanding compensation of US$9.5 million. Donald Moncayo, one of the people affected, said the legal case against the company is still active in courts in Canada, Brazil and Argentina. (+) 10 intervenciones de miedo de la CIA en LatinoaméricaConozca las figuras que bajo órdenes de la CIA han desestabilizado al Gobierno de Ecuador, políticas extendidas contra el socialismo en América Latina. Un video revelado este lunes en exclusiva por teleSUR en el programa Es noticia demuestra la injerencia histórica que ha tenido la Agencia Central de Inteligencia (CIA, por su sigla en inglés) en Ecuador. El primer nombre que aparece en el video, cuya procedencia no es revelada, es el de Mario Pazmiño, un militar retirado y director de inteligencia de Ecuador, quien fue formado por la CIA como un experto en seguridad. Pazmiño fue relevado de su cargo por fallas de información. Le ocultó al presidente ecuatoriano Rafael Correa que el ataque a Angostura, ocurrido en 2008 y donde murió el líder de las Fuerzas Armadas Revolucionarias de Colombia (FARC-EP), Raúl Reyes, y otras 22 personas, fue planificado por la CIA. Testigos señalan que Pazmiño recibió equipamiento de la embajada estadounidense en Quito, según el video revelado por teleSUR. Otro de los nombres revelados es el de Leila Hadad Pérez, jefa de la CIA en Ecuador durante muchos años hasta que Rafael Correa asumió la Presidencia. Hadab trabajaba de manera encubierta en el almacén de alfombras Aladino en Quito. Muchos políticos entraban a ese lugar con el pretexto de comprar alfombras y salían con instrucciones claras de lo que debían hacer. En este almacén también se autorizaba la designación de jefes de la Policía y Fuerzas Armadas afines a sus intereses. Por sus acciones logró que Emilio Palacio, periodista del diario El Universo, fuera acogido como asilado político en los EE.UU. y desde ese país intenta influir, pero con poco éxito. Hadad Pérez fue expulsada de Ecuador en 2008, meses antes del ataque a Angostura. Karen Hollihan, reclutada por la CIA según se señala en el video, es directora de relaciones públicas del Instituto Interamericano para la Democracia. Su historial en Ecuador fue escaso aunque suficiente para coordinar una red de informantes encargados de atentar contra la democracia en Ecuador. El primero en ser reclutado fue Mario Pazmiño, el exmilitar Alberto Molina , Fernando Villavicencio, quien se formó en los viejos sindicatos petroleros que acostumbraban a chantajear con amenazas de paro. Llegó a ser asesor del entonces asambleísta Cléver Jiménez. Otro nombre la red de intervención de la CIA revelado en el video es César Ricaurte, quien dirige Fundamedios, una organización que se escuda en la defensa de la libertad de expresión, pero en realidad es un instrumento de las acciones psicológicas de los servicios de inteligencia estadounidense en Ecuador. La CIA, de acuerdo a documentos desclasificados y testimonios de sus exfuncionarios, mantuvo una operación permanente para intervenir en las decisiones políticas y sociales de Ecuador. Muy pocos conocen los movimientos políticos que llevaron a que fuerzas de inteligencia foráneas intervinieran en Sudamérica y Centroamérica con consecuencias desastrosas para la región, además de un enorme impacto en el orden mundial. AntecedentesCon el triunfo de la Revolución Cubana en 1959 y el florecimiento de los grupos de resistencia anticolonialista en América Latina, la Unión Soviética mantuvo su fortaleza geopolítica y comenzó a apoyar a su nuevo aliado: Cuba. Era el comienzo de otra Guerra Fría para Estados Unidos. A comienzos de 1960, el presidente nacionalista de Ecuador, José María Velasco y su vicepresidente y posterior sucesor, Carlos Julio Arosemena Monroy, fueron presionados por la agencia para que rompieran diplomáticamente con el nuevo Gobierno socialista de Fidel Castro en Cuba. Ambos rechazaron aislar al Gobierno de Castro y fueron derrocados por golpes militares orquestados por la CIA. Ecuador, al igual que otras naciones en Suramérica, fue víctima del Plan Cóndor en 1970, que era respaldada por Estados Unidos. Este plan apoyaba el terrorismo de Estado para controlar lo que se percibiera como una “amenaza comunista”, además de eliminar los sectores subversivos de la sociedad. Diferentes activistas, organizadores y opositores a las dictaduras que Estados Unidos impulsó en la región fueron blancos del Plan Cóndor. Dos prominentes presidentes latinoamericanos, Omar Torrijos de Panamá y Jaime Roldos de Ecuador, se opusieron férreamente a esas medidas de Estados Unidos. Roldos y Torrijos murieron en un accidente aéreo y, de acuerdo a documentos desclasificados de la CIA, pudo haber sido parte de un plan, debido a que otros líderes de izquierda en la región también estaban en la lista. El presidente Roldos quería reorganizar el sector de hidrocarburos, lo que era una enorme amenaza a los intereses estadounidenses en Ecuador; es por ello que algunos investigadores creen, firmemente, que la muerte de Roldos está vinculada a las operaciones de la CIA en el país. El dignatario ecuatoriano consideró que no es casualidad los hechos registrados en Brasil y Venezuela. "Ya no se necesitan dictaduras militares, se necesitan jueces sumisos", dijo. El presidente de Ecuador, Rafael Correa, alertó este viernes que un nuevo “Plan Cóndor” intenta desestabilizar a los gobiernos progresistas de la región latinoamericana, esto en alusión específica a los hechos que se han registrado en los últimos días en Brasil. "¿Usted cree que eso es casualidad? Es el nuevo plan Cóndor contra los gobiernos progresistas (…) Ya no se necesitan dictaduras militares, se necesitan jueces sumisos, se necesita una prensa corrupta que incluso se atreva a publicar conversaciones privadas, lo cual es absolutamente ilegal", declaró Correa. En una entrevista a la televisión local, Correa calificó de “gravísimo lo que está pasando en Brasil”. Seventeen years ago a banking crisis that had simmered for years finally boiled over.On March 8, 1999, Ecuadoreans awoke to find that the country's banks were closed. The government of former Ecuadorean President Jamil Mahuad announced a “banking holiday” that was meant to last only a day but ultimately lasted five. Ecuadoreans were outraged, scenes of people trying to break down the doors of banks played on television. Mahuad delivered a nationally televised address to the country to announce dramatic measures to “save” the country's banking system. The measures adopted would come to be seen as part of the worst financial crisis in the history of Ecuador. “We have given the impression of being a government without leadership, without a plan and without initiative. That is not the case, we will begin to correct this today,” said Mahuad. The government's plan of action was to freeze bank accounts with more than US$500 for a year. it was all part of an effort to rescue the private banking industry from a crisis generated as a result of their own failure to maintain liquidity. The state transferred millions to the banks in order to help keep them solvent, but ultimately 16 banks would close as a result of the crisis, including the two largest banks. The priority of the Mahuad government was to save the banks, not the deposits of Ecuadoreans. The ire of Ecuadoreans at the government's neoliberal measures was so great that a popular uprising eventually forced Mahuad out of office long before his term was completed. A commission set up in 2007 to investigate the crisis found that the irresponsible behavior of the banks was facilitated by state policies, namely a law from 1998 that had the state guarantee all deposits and absolve banks from maintaining sufficient liquidity. The commission attributed the favoring of the interests of banks over people to the close relationship between politicians of the day and the heads of the private banks. 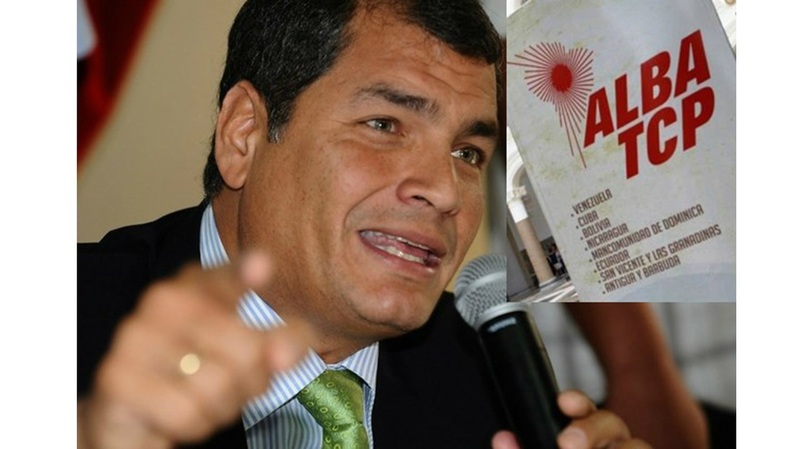 The consequences of the banking crisis were so severe that Ecuador is still living with them. Millions were forced to flee the country due to massive unemployment. The crisis also led to the country abandoning its own currency in favor of the U.S. dollar in January 2000. The “dollarization” of the economy has caused difficulties for the current government. As an example, Ecuador's neighbors have deliberately devalued their currency, making Ecuadorean exports relatively more expensive. Since the arrival of the Rafael Correa presidency, the government has taken a series of measures to prevent such a crisis from ever happening again. Some of the very politicians heavily involved in the 1999 crisis, such as Guillermo Lasso and Jaime Nebot, remain active in Ecuadorean politics and are some of the fiercest critics of the Correa government. Although Ecuadoreans seemingly learned from the experience, it would appear that the rest of the world did not. A similar story would play out in the United States almost a decade later and, like Ecuador, the U.S. government chose to bail out the banks on the backs of the people. A point that Senator Bernie Sanders has repeatedly made on the campaign trail in his quest to secure the Democratic nomination. 1º agosto 2015 - Los países miembros de la Alianza Bolivariana para los Pueblos de Nuestra América-Tratado de Comercio de los Pueblos (ALBA-TCP) repudiaron este viernes a través de un comunicado las manifestaciones opositoras golpistas con matices violentos e incitaciones para derrocar el gobierno legítimo de Rafael Correa, presidente de Ecuador. Los países miembros de la Alianza Bolivariana para los Pueblos de Nuestra América-Tratado de Comercio de los Pueblos (ALBA-TCP), repudiamos y denunciamos ante la opinión pública internacional que desde el pasado 8 de junio, en la República del Ecuador se han sucedido manifestaciones opositoras golpistas de la oposición con matices violentos e incitaciones al derrocamiento del gobierno legítimo del presidente Rafael Correa. Los manifestantes, respondiendo a una convocatoria del jefe de la Diplomacia, Ricardo Patiño, se concentraron frente al Palacio de Carondelet (presidencial) en la capitalina ciudad de Quito para mostrar su solidaridad con la gestión del Ejecutivo, especialmente con las políticas tributarias, criticadas por la oposición. La marcha se desarrolló y culminó de manera pacífica, pese a llamados de sector ultraderechista para salir a las calles en movilizaciones paralelas. Tras esta congregación masiva, Correa agradeció en su cuenta en la red social Twitter el apoyo del pueblo. “¡Gracias! Miles reunidos en Plaza Grande cuando supieron que los de luto iban a Carondelet. Somos pacíficos, pero defenderemos la Revolución”, señaló el mandatario. Horas antes, en un intento para impedir la expansión de las manifestaciones violentas de los opositores, Correa volvió a invitar a todos los sectores de oposición al diálogo nacional por la igualdad y justicia social, que incluye un debate sobre los proyectos de ley que sirven para cargar las riquezas (herencias) y las ganancias extraordinarias (plusvalía) con nuevos impuestos, iniciativas que a su juicio, ayudarán en un futuro a combatir los niveles de pobreza extrema. The Obama administration is facing criticism across Latin America for leveling new sanctions against Venezuela and declaring the country an "unusual and extraordinary threat to national security." On Saturday, foreign ministers of the 12-country Union of South American Nations called for a revocation of the sanctions. In a statement, the ministers said: "It constitutes an interventionist threat to sovereignty and the principle of non-interference in the internal affairs of other countries." On Thursday, U.S. policy in Venezuela was also questioned during a meeting of the Organization of American States in Washington, D.C. Representatives from Mexico, Brazil, Colombia, Argentina and other nations all criticized the U.S. approach. We salute the indigenous communities of the Ecuatorian Amazon, who for 18 years, have effectively fought against the largest and most aggressive Petroleum companies in the planet. We consider the 8.6 billion ordered by Ecuadorian courts for Chevron to pay, insufficient since the direct damage to the health of indigenous peoples and the environmental costs, is unquantifiable. The toxic damages left in the Ecuatorian jungle by Texaco, today Chevron, is estimated to be ten times the oil spill caused by British Petroleum in the Gulf of Mexico. We call out to the international community, to organizations in defense of human rights, social movements and civil society generally to maintain their vigilance to ensure that this historical judicial decision is fully carried out as soon as possible in order to partially compensate affected communities. Not even with all the millions of the world, nor with any dirty tricks, will Chevron's impunity be tolerated! Nosotros y nosotras, saludamos a las comunidades indígenas de la Amazonia ecuatoriana, que organizadamente han luchado por casi 18 años, en contra de una de las Petroleras mas grandes y agresivas del planeta. Consideramos que el monto de 9 billones que Chevron tiene que pagar, es insuficiente ya que el daño directo en la salud de los indígenas y el costo ambiental, es incuantificable. Los desechos tóxicos vertidos en la selva ecuatoriana por Texaco, hoy Chevron, se estima que supera en diez veces el derrame causado por la British Petroleum en el Golfo de México. Hacemos un llamado a la comunidad internacional, a las organizaciones defensoras de Derechos Humanos, Movimientos Sociales y de la Sociedad Civil en general para que se mantengan vigilantes para lograr que este fallo judicial histórico sea ejecutado lo mas pronto posible y se compense en algo a los afectados. Ni con todos los millones del mundo, ni con todos los trucos sucios, Chevron no pasara! We express our solidarity with the indigenous peoples of Ecuador, victims of systemic persecution by the Ecuadorian government as a result of their firm opposition to extractive mega-projects, principally mining. These projects have been shown to benefit only the transnational companies involved, not the local people. We are shocked that a government who has self-identified as ‘left,’ whom states that defending the interests of the country and their citizens, and who works to develop a constitution that includes the The Wellbeing of the people and The Rights of the Natural Environment and who has ratified the International Labour Organization’s convention 169 Act in contradiction to these constitutional and international principles, illegally jailing three indigenous leaders, accusing them of TERRORISM and SABOTAGE, for opposing the entrance of mining operations into their territories. We condemn the criminalization of protest and dissent, we welcome the mobilization and pressure from the indigenous movement and popular organizations that have successfully achieved the release of Pepe Acacho, Pedro Mashiant and Fidel Kaniras through a Habeas Corpus, demonstrating that lawsuits and detention were illegal and unconstitutional. We consider it a triumph of the indigenous movement, workers and the Ecuadorian people who mobilized in the streets and demanded the release of indigenous leaders. Similarly we request the dismissal of lawsuits that the Ecuadorian government still carries on against close to 200 indigenous organizers active in defending their territory. We support and will continue to work in solidarity with the National Confederation of Indigenous Nationalities in Ecuador (CONAIE, Spanish acronym), and Indigenous Federation and Shuar Centre of Morona Santiago (FICHS, Spanish acronym) against this new wave of aggression instigated by the Ecuadorian government. A government that more and more reveals their push to the right and a neoliberal agenda, at the expense of the interest of the Ecuadorian peoples. We are calling out to the international community, human rights defenders, social movements and civil society in general to condemn the abuse of power against the indigenous peoples of Ecuador. La Tercera Sala de la Corte Provincial de Pichincha, en horas de la mañana, resolvió otorgar el habeas corpus para los líderes de la nacionalidad shuar Pepe Achaco, Pedro Mashiant y Fidel Caniras, ante la presión de los Pueblos y Nacionalidades de la CONAIE, demostrando la injusta, arbitraria e inconstitucional detención de los compañeros mencionados. Las acciones del movimiento indígena y sectores sociales en defensa del agua, en contra de la minería, por la tierra, la educación y la salud, no configuran los elementos del supuesto delito de terrorismo y sabotaje, endilgados por el gobierno de Correa; rechazamos y condenamos enérgicamente los actos políticos-judiciales del Gobierno que vulneran los derechos humanos individuales y colectivos de los pueblos y nacionalidades. La CONAIE ratifica la lucha por la defensa de los derechos de los ecuatorianos, ante la persecución y criminalización de la lucha social emprendida por los líderes de los pueblos y nacionalidades; continuará con las acciones judiciales, legislativas y denuncias ante los organismos internacionales de derechos humanos. ABAJO EL TERRORISMO DE LA REVOLUCIÓN CIUDADANA! El gobierno de Ecuador en contra de los mas pobres! La CONAIE, rechaza categóricamente la actitud prepotente y autoritario del Presidente de la República, a través de la Fiscalía, policías y militares para perseguir a los dirigentes de los pueblos y nacionalidades, su pretexto de haber sido acusado de sabotaje y terrorismo, sin hasta ahora comprobarlo en lo mínimo estas falsas acusaciones. Denunciamos que desde la Comunidad Nenzaki, fue perseguido por un grupo de policías del GOE (SWAT de Ecuador) y fuerzas especiales quienes se encontraban fuertemente armados, finalmente en el Centro de la Misión Cristiana fue asaltado y secuestrado el compañero Pepe Acacho ex – Presidente de la FICSH entre Sucua y Macas en la provincia de Morona Santiago, violentando la norma constitucional y la libertad del derecho al libre tránsito en el territorio de la Nacionalidad Shuar, sin presentar ninguna boleta de detención. El presidente de la CONAIE exige a las autoridades de la Fiscalía, Jueces de la Corte Provincial y Nacional revisen la norma constitucional y tratado internacionales sobre los derechos de los pueblos indígenas, y en este marco exige la inmediata libertad de los compañeros Pepe Luis Acacho, Pedro Mashiant y Fidel Kaniras, al no encontrar ninguna boleta para este efecto. Hacemos un llamado a la comunidad Internacional de Derechos Humanos, a la Amnistía internacional, CAOI, COICA, CICA, Consulado Indígena Norte Americano, Green Peace, Foro Permanente de las Naciones Unidas, OEA, OIT, al Alto Comisionado de Derechos Humanos en Ginebra, Unión Europea, a las Nacionalidades, y Pueblos de Ecuador a las organizaciones sociales a solidarizar y estar vigilantes de estas arbitrariedades cometidas desde el gobierno nacional, hacia los pueblos indígenas, que solo por el hecho de defender la madre tierra y el Sumak Kawsay hoy los dirigentes se encuentran detenidos. Responsabilizamos al gobierno nacional y a las fuerzas armadas policías y militares sobre la vida de los detenidos. Por el Consejo de Gobierno de las Nacionalidades y Pueblos. POR QUE DECIMOS NO A LA MINERIA? VIENEN POR EL ORO! VIENEN POR TODO! Key Witness Santiago Escobar, testifies that Chevron Paid Bribes, Switched Soil Samples in $27b Ecuador Lawsuit. Communities Urge Ecuadorian Prosecutors to Interview Chevron Contractor Diego Borja over Massive Fraud by Oil Giant.